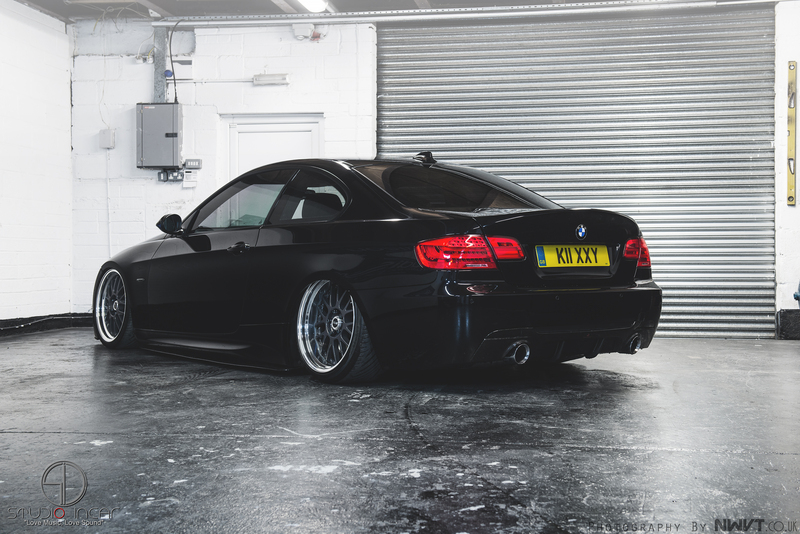 Joshya’s e92 has taken us quite by surprise. 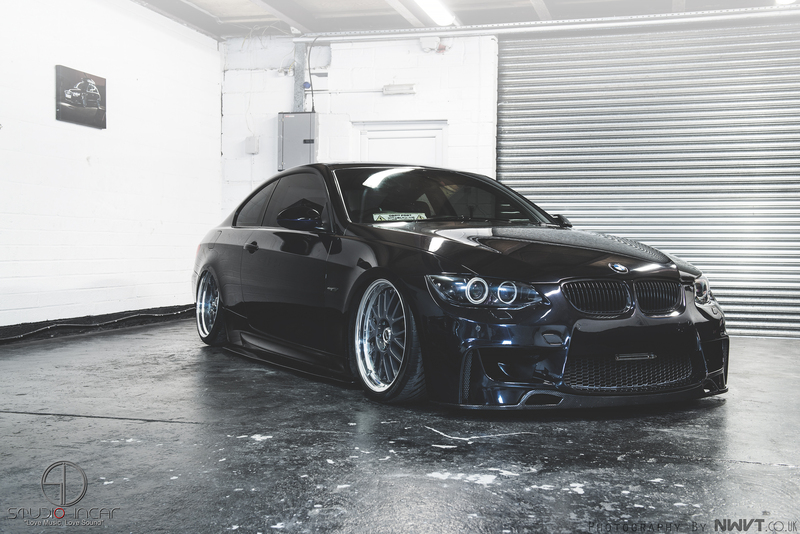 We know how aggresive e92’s can look, you’ve possibly seen our own Liberty Walk e92 M3? We’re quite familiar with this platform. However, we completely didn’t expect it to respond the way it has to this kit. 3, Insert aforementioned wooden blocks under wheels, careful to get them in the middle..
4, Twist jack bar as firmly as we can and lower the car down gently. 5, Be amazed at how far into the arch your wheel goes, pull faces, look at mates for confirmation. 6, Stand back and look, don’t say to much just take a few phone pictures and smash them into instagram. 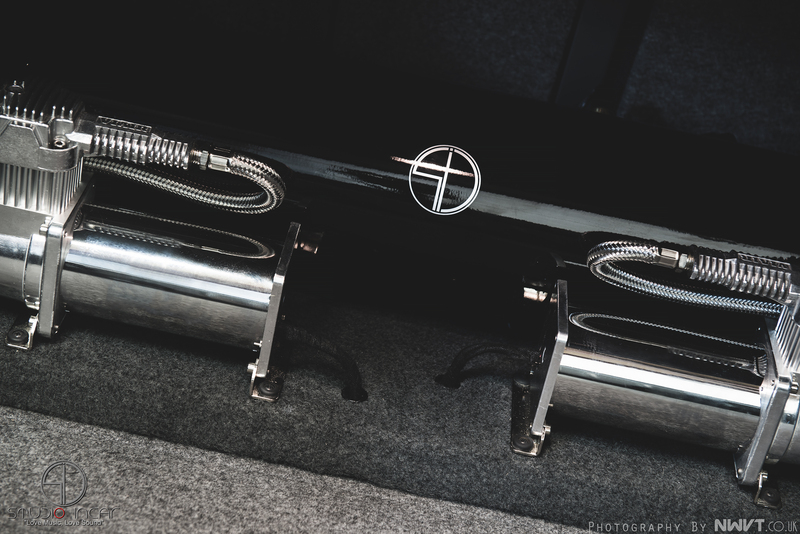 You could jump out of a plane without a parachute and end up with more ground clearance. 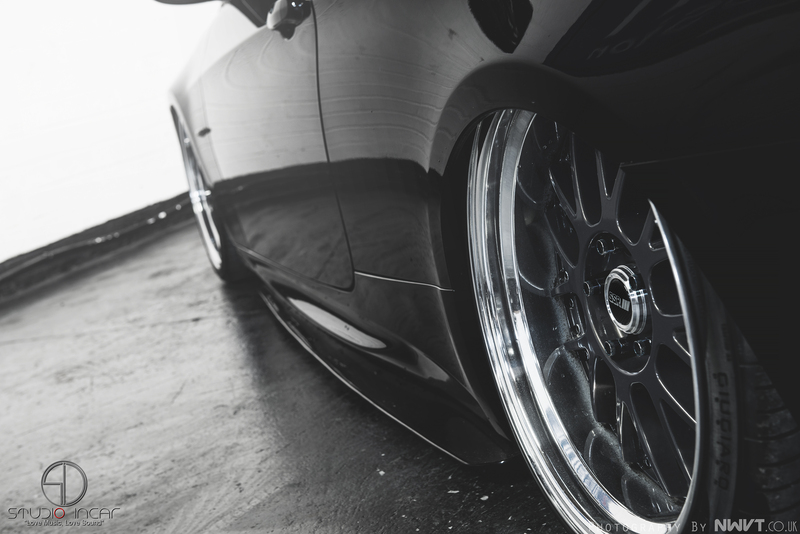 The system used on this car is a mixture of the best from both big names in the air industry, Airlift performance bags utilising the threaded body design, dampening adjustment, pillow ball mounting and camber adjustment. Moving these struts around is Accuair’s incredible eLevel management, fully digital 4 way management utilising “truposition” sensors on all four corners to govern heights at any load and control roll center with its anti cross loading feature amongst more. Accuair’s iLevel system is also present in this build, allowing full control from your smart phone. Such a trick touch and surprisingly handy! 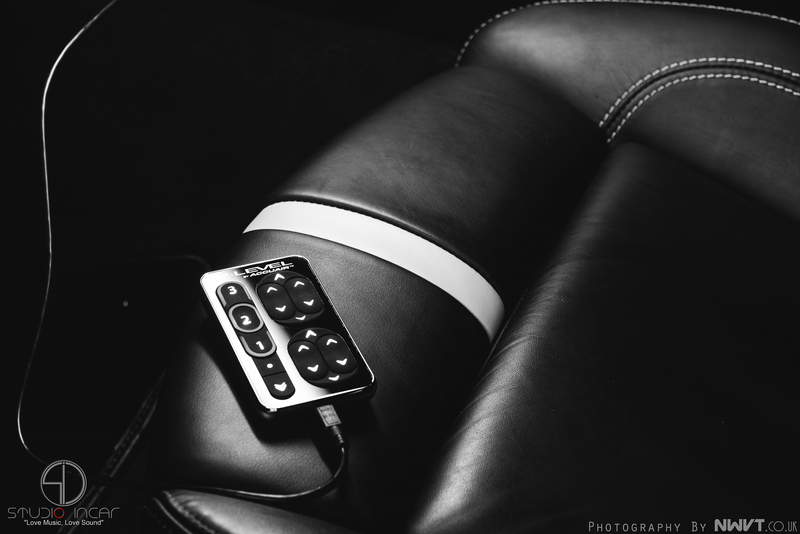 The machined controller feels excellent to the touch with its billet construction. The install level in this car is our basic “stock fit” installation, tidy, fixed down in an appropriate manner or in this case velcro was used as the build needs to be able to rotate 180 degrees at the owners request. Lines are all outside as are the sensor cables and all fixed out of sight and out of the line of fire from moving parts. Tracking sorted the car run’s perfectly true, camber adjusted on the front to keep clearence on full drop doesn’t mess around with how the car drives when at its driving position. The car works really well on the road with a real nice “feedback” style drive, not bumpy/bouncy or a slouch in the bends it genuinely feels like a good solid upgrade over many a bolt on kit we’ve endured. Josh is happy and reassures us his phone hasn’t stopped since the instagram pictures started flowing through and the car feels great to drive which in turn makes us happy also. 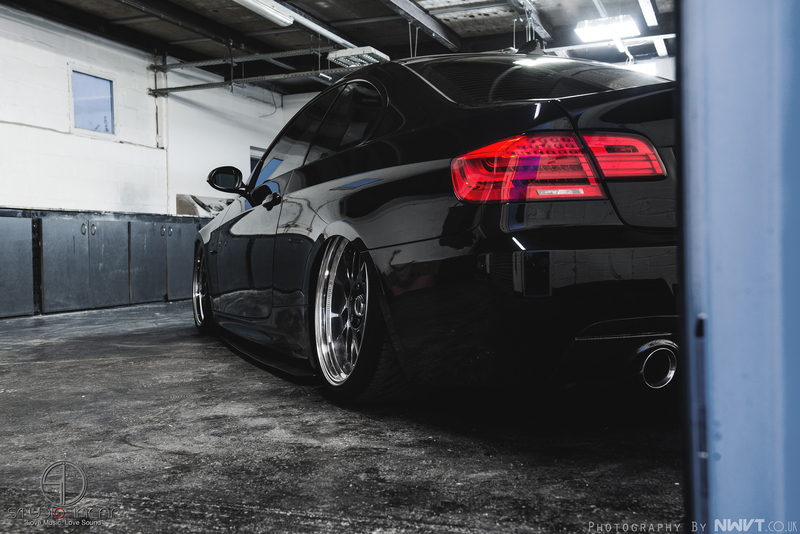 Suffice to say this kit has been a huge success with us, E90 owners buy with confidence. A job well done. Anyway, here are some more pictures for you to have a go at as usual from the brilliant Nick Williams of www.NWVT.co.uk …. 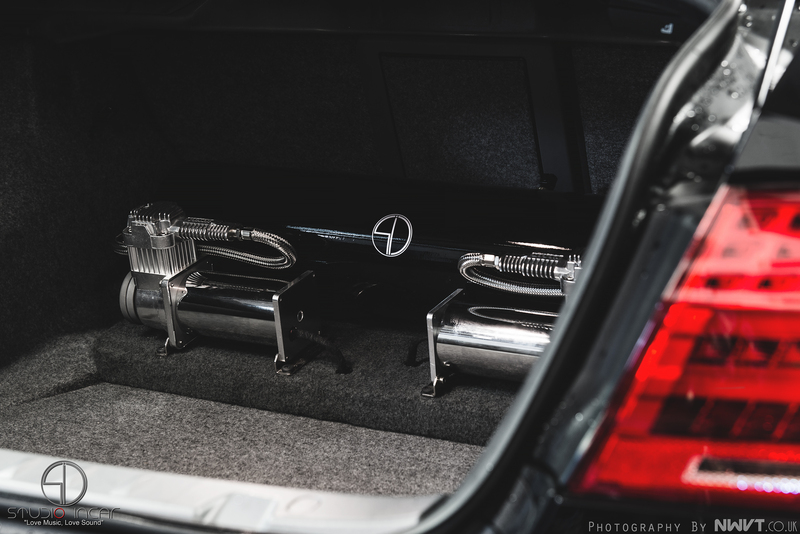 If you want more the car will be with us at Players show 2014, come and have a demo! Cheers for getting this far, as usual all sharing and likes/comments will be met with a good old cuddle.